THE FINAL DOG DAYS OF SUMMER. With the holiday Labor Day weekend coming up, it usually means that the summer season will come to a close and the fall season will start shortly after that. No more trips to the beach, or summer time BBQ’s. And of course the summer vacation that you have planned for earlier in the year, you may have already taken. All expected plans of summer time. 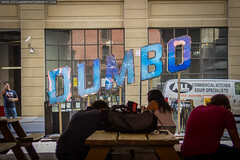 In a recent photo outing I had an idea of what I wanted to photograph, however… Something unexpected had happen. While out in a local park, I had noticed a person walking a dog. Nothing odd about that of course, but what I did not expect was the dog to use a skateboard that the owner had to use it as his play toy. It was something that I did not expect, but was quite fun and interesting to watch and photograph. 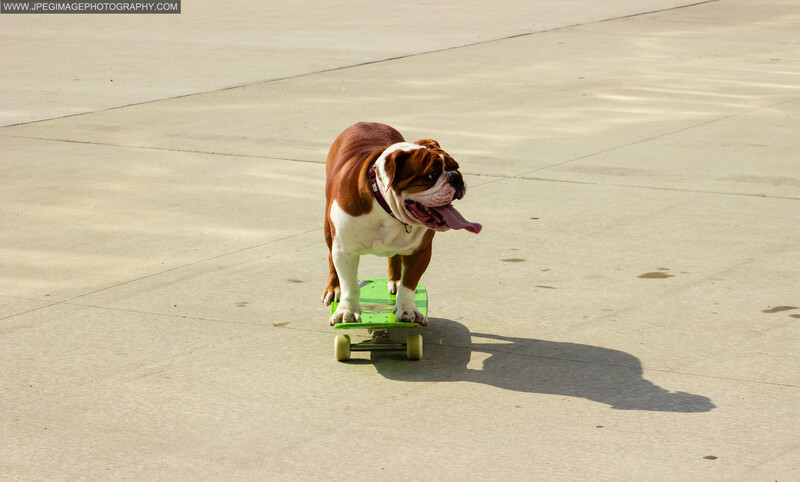 The dog (the breed was a bulldog to be exact) would just get on the skateboard and start pushing and riding it. I have always seen this happen on television or even on some random YouTube video. But never witness such a thing in person. It did make for some good “moving target practice” for the bulldog was just all over the place moving about. And of course myself being in one spot, or what I thought was a good spot to be at trying to get a good shot in. The bulldog did make for a good and interesting subject to photograph. Here is some of what I had captured. My camera configuration was the following: Canon EOS 600D with a Canon EF 35–70mm standard zoom lens aperture f/3.5-5.6. When I first seen this person with the bulldog, I thought that this would make for an interesting street photography photo. 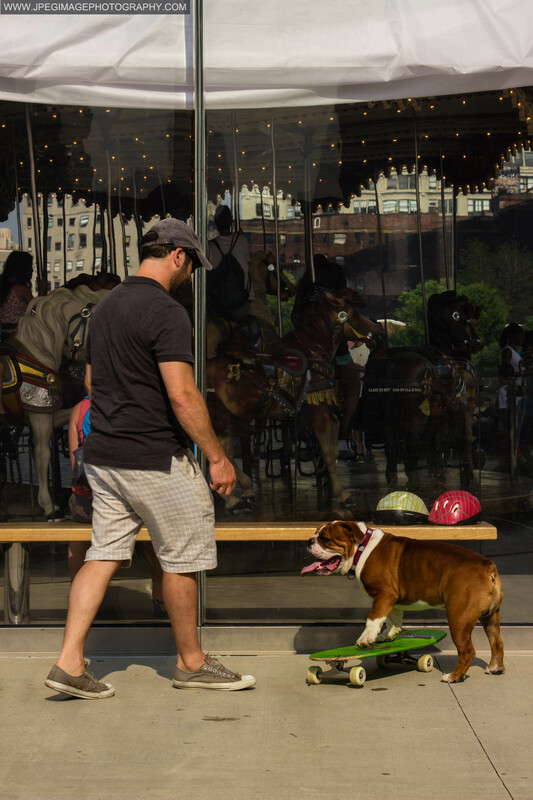 Bulldog with his owner playing with a skateboard near Jane’s Carousel in Brooklyn Bridge Park located in DUMBO Brooklyn New York. As I was sill at a small distance away I kept photographing the person and the bulldogs interactions together. Bulldog and owner playing with a skateboard near Jane’s Carousel in Brooklyn Bridge Park located in DUMBO Brooklyn New York. Then the unexpected happened. The Bulldog just hopped on the skateboard and starting riding around on it. Bulldog riding on a skateboard near Jane’s Carousel in Brooklyn Bridge Park located in DUMBO Brooklyn New York. And away he went, moving and zipping around and about. 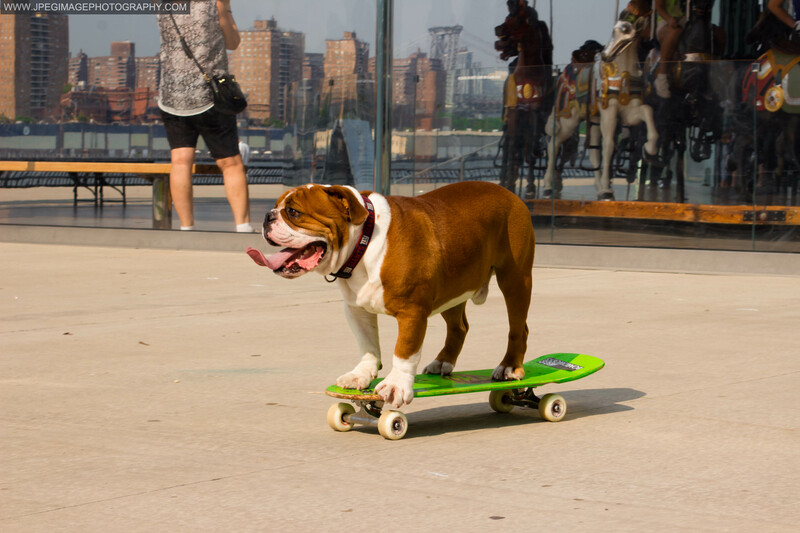 Bulldog riding on a skateboard in Brooklyn Bridge Park located in DUMBO Brooklyn New York. 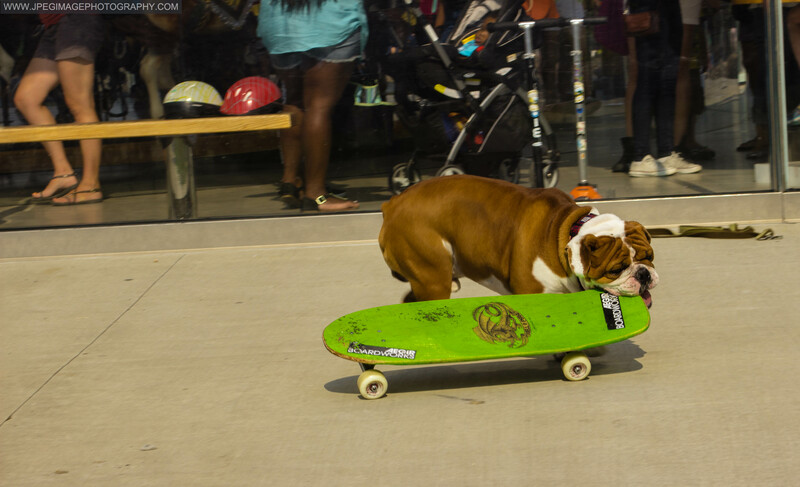 I guess after a short while of riding around on the skateboard the bulldog got a little hungry. Bulldog takes a bite of a skateboard near Jane’s Carousel in Brooklyn Bridge Park located in DUMBO Brooklyn New York. Or he just wanted to point the skateboard in another direction. Who knows? This all just happened within a few very short minutes. After the photo above was taken, the owner of the skateboard/bulldog just picked up the board and started to walk out the park with the bulldog walking besides him in tow. It was totally unexpected but fun to capture. Sometimes the best made plans in a photography outing/photowalk, are the events that you did not plan or expect to capture. I did enjoy this moment of shooting, hope you enjoyed reading this post.